How do You Know if Your Cat is Sick? It’s not always easy to tell whether or not your cat needs to visit the veterinarian. If your cat has suddenly started meowing for more food, it doesn’t mean that he or she is just fat. It could be a sign of a problem, such as diabetes or hyperthyroidism. Any changes in your cat’s eating habits should be taken seriously as they can indicate a number of health issues. Your cat’s breath will probably never smell minty-fresh, but if you notice that your cat’s breath is foul, it could be a sign of dental issues or other issues, like kidney problems. Cats are, by nature, very clean animals. If your cat has regularly groomed himself all of his life, and suddenly, he stops, it could be a sign of an issue, such as dental disease or arthritis. 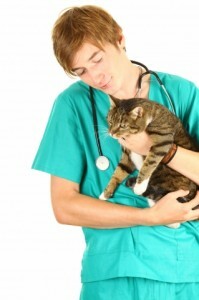 Would you like to learn about more warning signs that your cat needs to see the veterinarian? If so, please stay tuned for our next blog.